Before I share the next installment in our Circus Themed series of fun freebies, I have some updates for you! Little Learning Lovies is getting a LONG overdue face-lift along with some under-the-hood upgrades. This post is the first we’re sending out through our new look! If you’re reading this in a email or feed, I encourage you to click on over and see how it all looks now. Don’t be shy. Do let us know what you think! Some things we’re changing include how ads are displayed. Most readers understand that ads help blogs like this one stay running (else we wouldn’t be able to share all these free things with you!) but WE understand that things were getting cluttered and, well… unpleasant to look at. We’re still tweaking, but so far, we’re liking the look and invite you to let us know your thoughts on things, too. What’s Up With Those Subscriber Freebies? Well, some of you have noticed and some of you haven’t… There’s a glitch right now that we’re working really hard to get fixed as fast as we can. Currently, if you try to get a subscriber freebie, you’ll see the link, but only get a blank screen when you click! That’s no fun!! 🙁 And we’re really sorry that’s happening. We’re working hard to fix it and we’ll update you as soon as it IS fixed. All new files released will not require an email address until we can get this all sorted out. 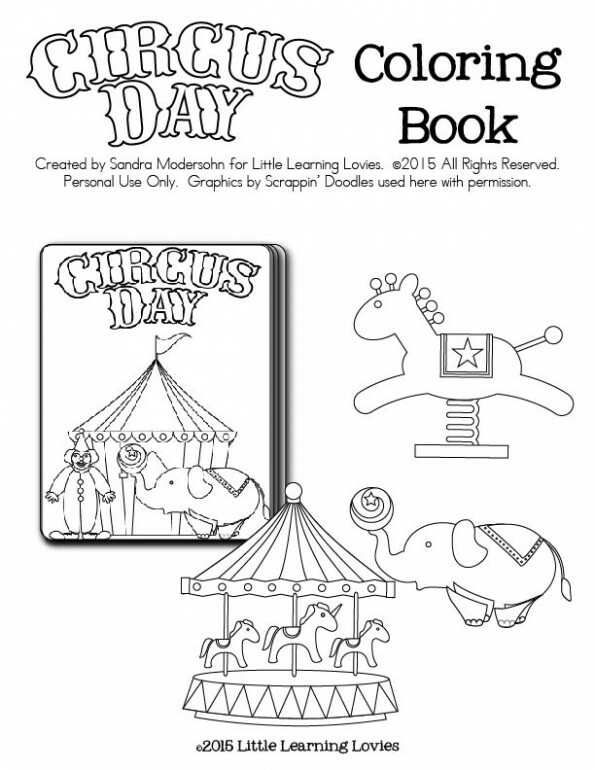 Ready for your FREE Circus Party Favor Coloring Book? If you’re going to throw a Circus Themed Party, you’re going to want to have a fun party favor, right? This one is a printable coloring book! Just print double sided, cut down the middle long ways, fold in half and staple. In just a few sheets of paper you have a really fun gift to give your guests. 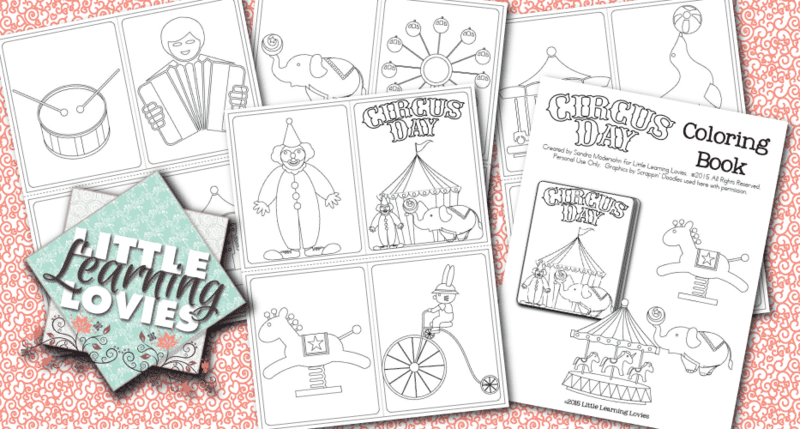 And it matches the other circus themed printables we’ve shared.